Set applicable pavement conditions / PCI levels. 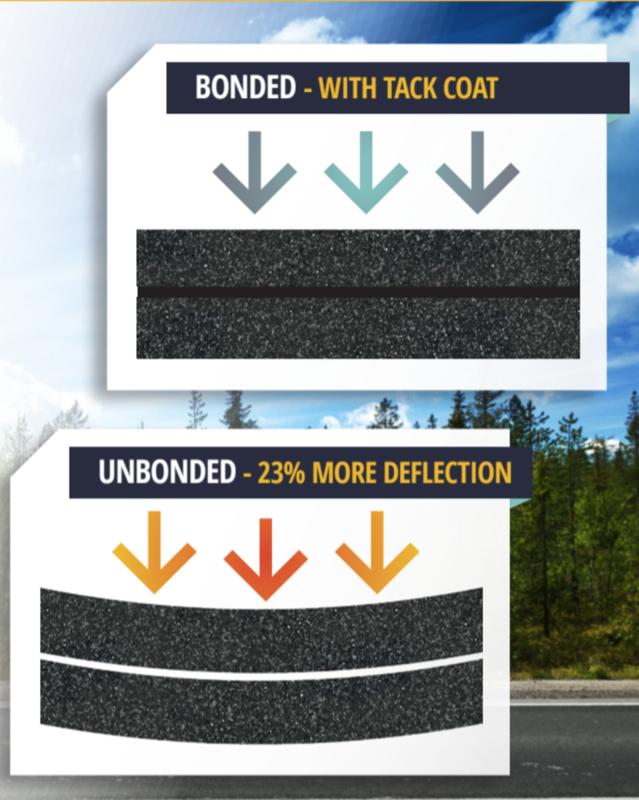 Tack Coat, more accurately called Bond Coat, is critical to the long-term performance of an asphalt pavement. Bond coat ensures proper bonding between layers of asphalt. A strong bond between pavement layers transmits traffic loads through the pavement structure. When properly bonded, the cross section of a road will act as a single unit, ensuring vital structural integrity and helping prevent many of the major problems associated with road failures. Many emulsions used for bond coat have little or no petroleum solvents or hydrocarbon emissions. They are also used at a lower temperature so that saves energy and provide a safer work environment. Tack Coat is incorporated in nearly all new road construction and may be combined with many other treatments.